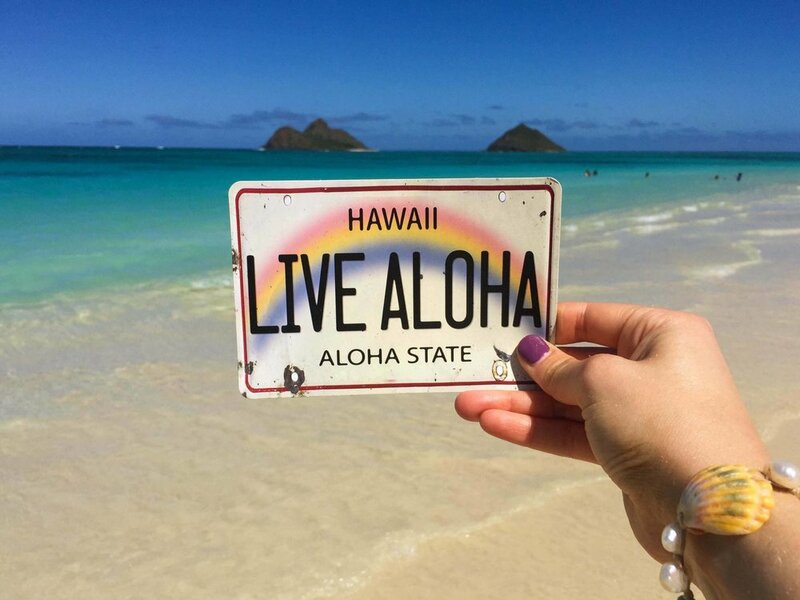 Halfway into my stint of living in Hawaii, I debated making it home for the rest of my life. Meeting Jared changed the gameplan, but for the first year of our relationship, we dated long distance. Lucky for him, I lived in a highly desirable place to visit. Lucky for me, his job allowed him the flexibility to fly to the islands and go on adventures with me! During one visit, we discussed our dream situation; live a third of the year in the Pacific Northwest, a third of the year in Hawaii, and spend the last third traveling around the world. While that isn't our reality (yet), we promised to return to Hawaii at least once a year after I moved to Seattle. We missed last year's visit due to our honeymoon in South America. This year, we were feeling extra eager to return. But I admit, a part of me was anxious about going back. 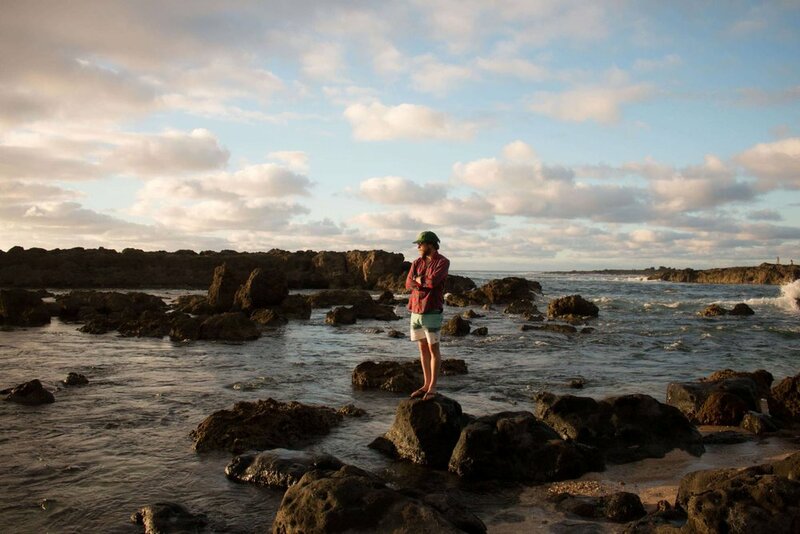 Would I recognize the Hawaii I loved and left? Would I still see magic and not be jaded? Would I be treated like an outsider visiting like the other thousands of tourists? It didn't take long for me to receive some answers. We landed at midnight, groggy and tired from sitting on the plane for 6.5 hours. Yet the instant hit of humidity and warm trade winds gave me a boost of energy. I was literally skipping through the airport, feeling giddy to be back. After doing extensive trekking in the Northwest, I can still say that Hawaii has some of the gnarliest hikes. I finally tackled Pu'u Manamana, a trail that had been on my bucket list for years. It's said to be one of the most 'treacherous hikes on Oahu', and the drop off on each side makes it obvious why. We made our way up the ridge line until our collective group decided we were satisfied and didn't need to trek any further. I love a good scramble where I really have to focus on my footing and feel my whole body working to make the climb. School, work, and my community were in town but I always had an urge to move to the North Shore. On days off I would escape the noise and spend all day shell searching, swimming and napping on the uncrowded beaches. If Honolulu is represented by cars and the freeway, then the North Shore is represented by the beach cruiser and bike path. That's the pace of life up there in the country and I was drawn to it. Thankfully our good friends live there so when we visit, I kinda get to live out that dream! Waikiki is still touristy, still expensive, and I still love it. Sure the main streets are kinda manic but I view it as eclectic energy. I worked there for 4 years and loved meeting travelers from all over the world. 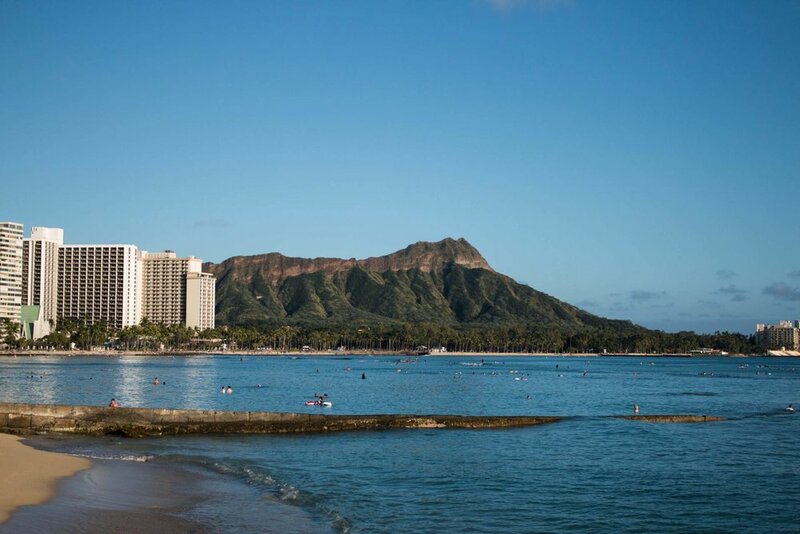 For many visitors, Waikiki is their first experience of Hawaii. It's an accessible part of the island that provides culture, good waves, a plethora of hotels and food options to choose from, and postcard views of famous Diamond Head. If there was an overall goal for the trip, it was to catch the sunset every night. I was neurotic to the point that I scheduled activities around it. Watching the sun dip into the sea is one of the things I miss most about living in Hawaii. While much of our trip focused on making all our favorite stops and seeing friends, we did succeed at trying something new! Stay tuned for my next post about our shark diving adventure with Islandview Hawaii! ** If you're planning a trip to the islands, I would love to help with recommendations! Let me know in the comments below.